Description: This project involved recreating the old 'DEKA' brand name into something new. The brief was to create a logo for the new brand and a poster to advertise. 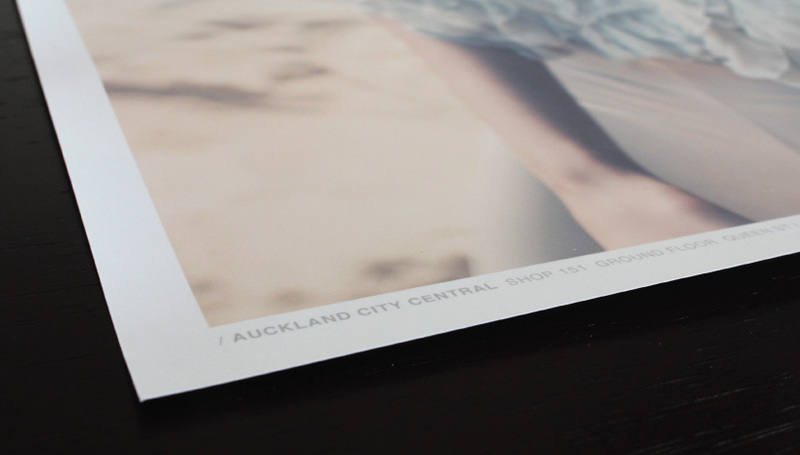 The typographic logo fits well alongside other current high fashion labels in New Zealand. It has the unique edge of cutting areas away from the letters to represent the idea of DEKA's pre-loved clothing being cut up and remade into a new garment. The posters were designed to be simple, using photographs to show off the clothes and the large logo to make an lasting impact on the audience.